There are very few figures in history that have exerted as much and as varied an influence as Karl Marx. Edited by Jeff Diamanti, Andrew Pendakis and Imre Szeman, and with 74 chapters by significant Marx scholars from around the world, The Bloomsbury Companion to Marx is an incredible reference guide to Marx’s life, work, sources, concepts, reception and influence. 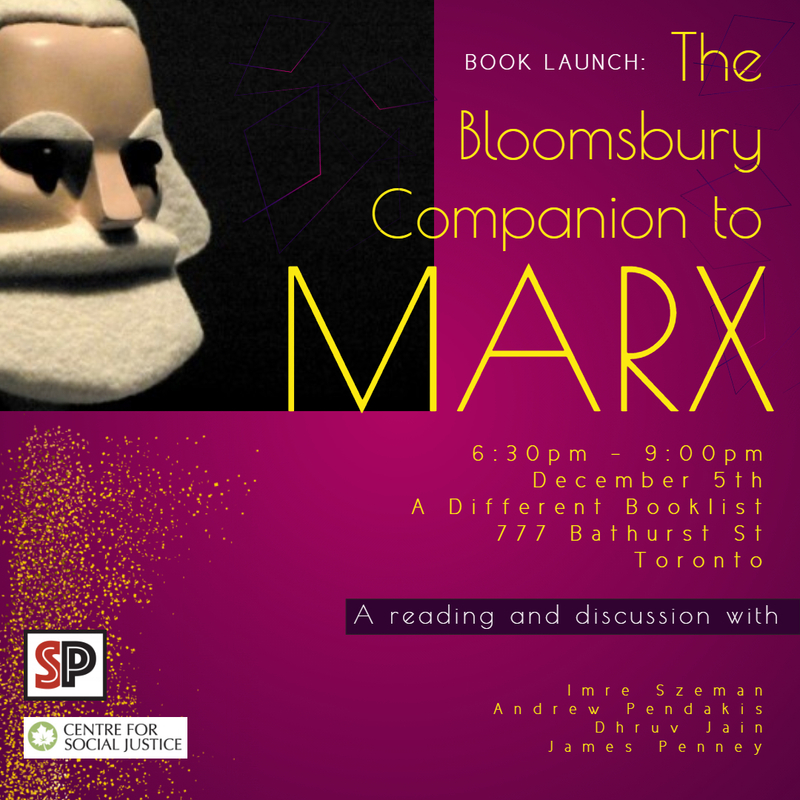 Join us in celebration of the Toronto book launch of The Bloomsbury Companion to Marx, and take in a night of readings and discussion with Andrew Pendakis, Imre Szeman, Dhruv Jain and James Penney. Spread the word, invite your friends!